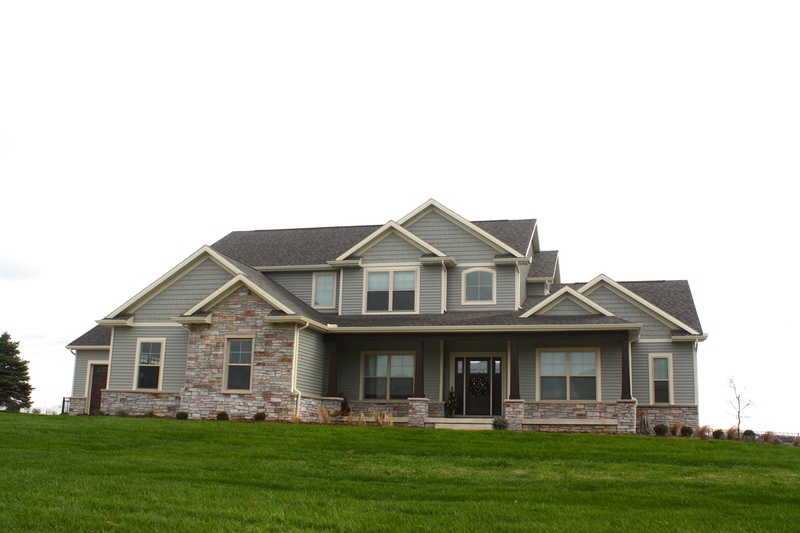 Storm, Wind Damage, or Small Repairs – Carlson Exteriors Inc. 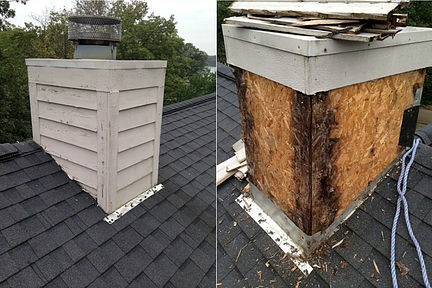 It can be a rather frustrating experience finding a contractor that will take on a small repair. 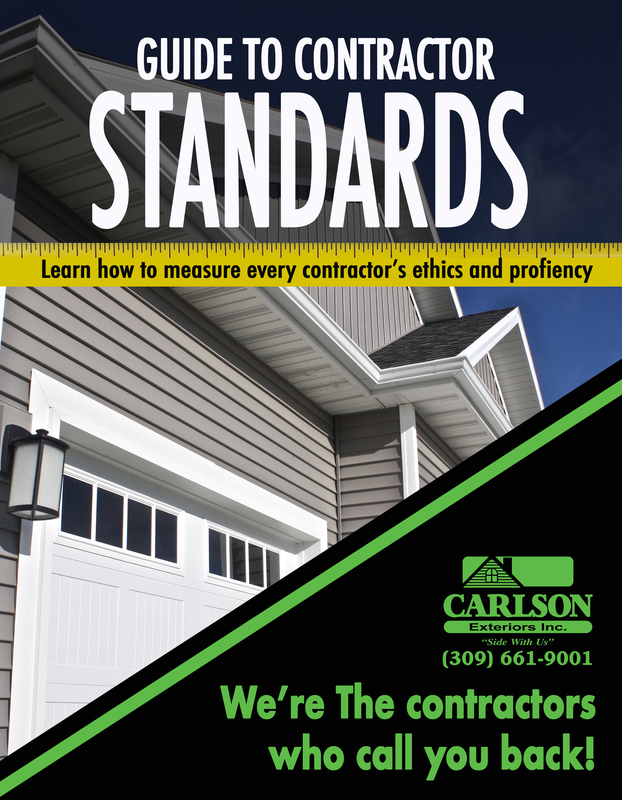 Carlson Exteriors loves fixing your problems – even the small ones. We treat every small job with the same attention level we give full, big, replacement jobs. (Above) A Bloomington, IL homeowner was having repeat problems with rodents on the roof pulling soffit off their home and ripping the insulation out. We matched the missing soffit panel as closely as possible with a new piece. Then, we added spikes to keep the rodents from being a repeat offender. Below is a handful of missing fascia repairs we have replaced. High winds can easily get under any poorly attached or older fascia pieces and blow them off. It’s good practice to inspect your home after any storms for any damages like these. Some storms can pull of large sections of siding. As long as you have house wrap in tact, you don’t have to worry about any immediate water leaks. Another repair that’s hard to get a contractor to come out for, is a rotted garage door header. Frequently we have been finding that the flashing around the garage headers were not done properly. The wood underneath the metal garage door casing can rot and cause rusting in the metal around the garage door. In extreme cases, the rust can run down doors or a large portion of the OSB above the garage door will need to be replaced from rot.